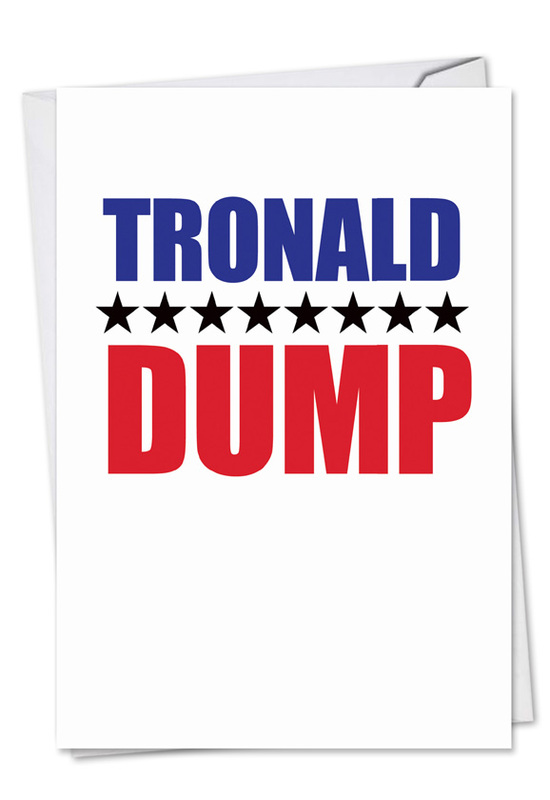 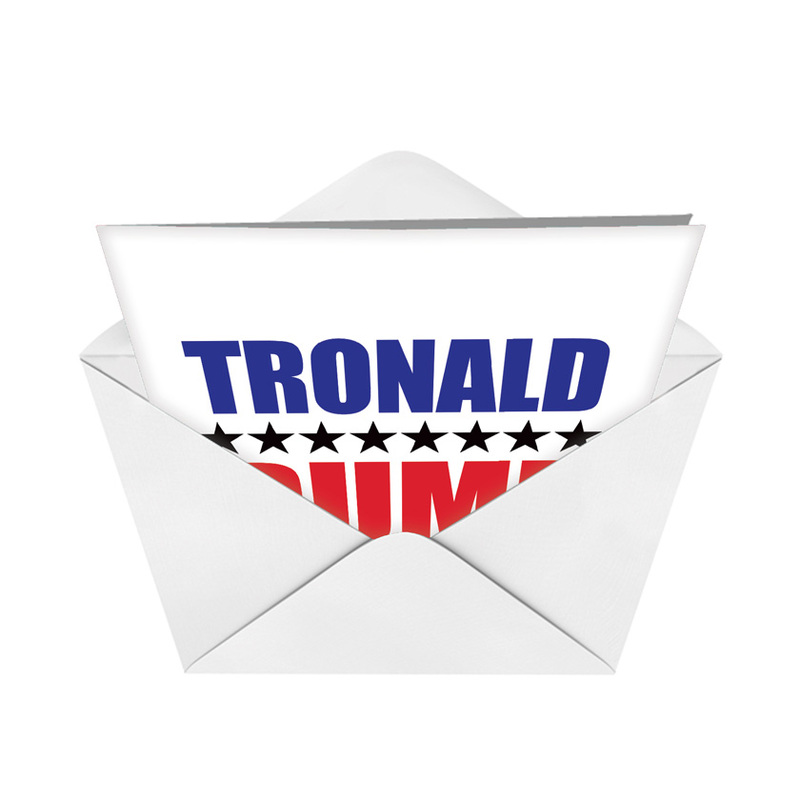 The tongue-twisting Tronald Dump Birthday Humor Greeting Card available at NobleWorks Cards brings political satire to new heights-or depths. 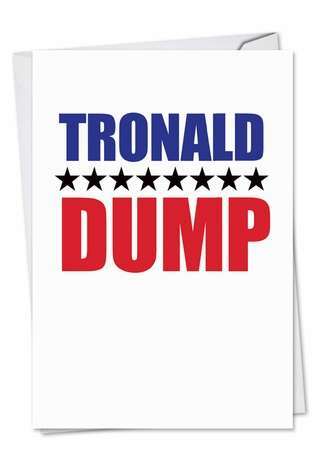 The message in this humorous political birthday greeting card is open to interpretation, and no matter which candidate you cast a ballot for, a landslide of laughter may result when you give this hilariously irreverent card to a birthday celebrant. 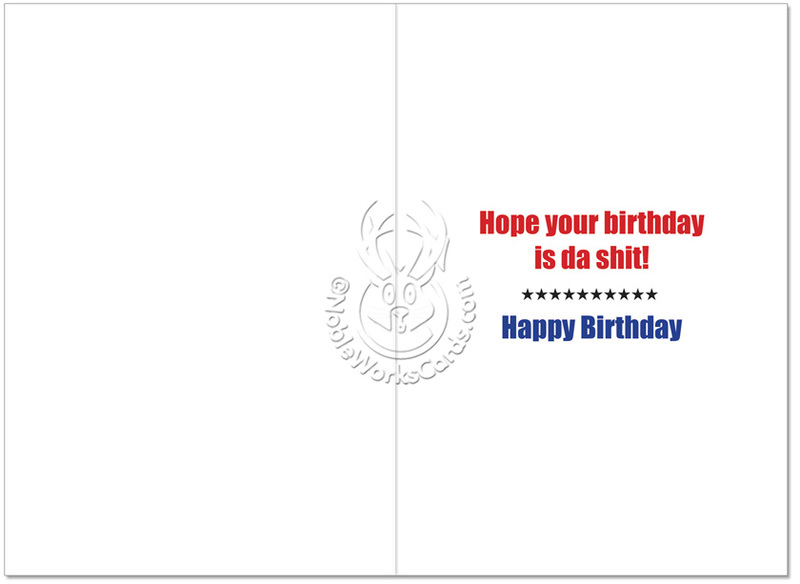 Printed in the U.S. on recycled paper that benefits the environment, this crude, vulgar and uproarious birthday card comes with free shipping and is available from NobleWorks Cards with special bulk pricing that enables you to save on the per-unit cost when you purchase several of these funny cards. 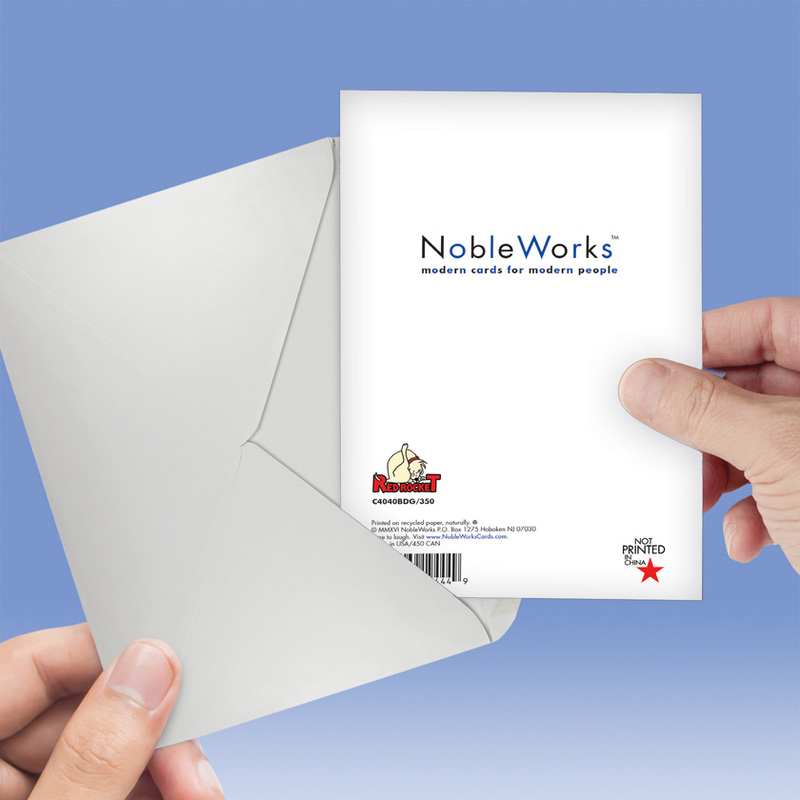 The more you buy, the more you save.